As teachers everywhere settle into their classrooms and prepare for the year ahead I would like to share with you a great back to school eBook I've had the opportunity to participate in. 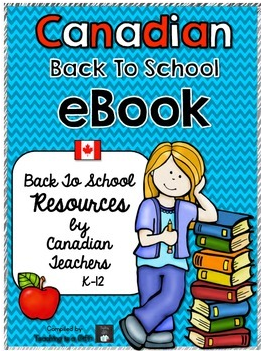 This book offers teachers some amazing back to school tips and ideas, as well as links to great freebies and other resources from Canadian sellers on Teachers Pay Teachers. You can download the eBook here.